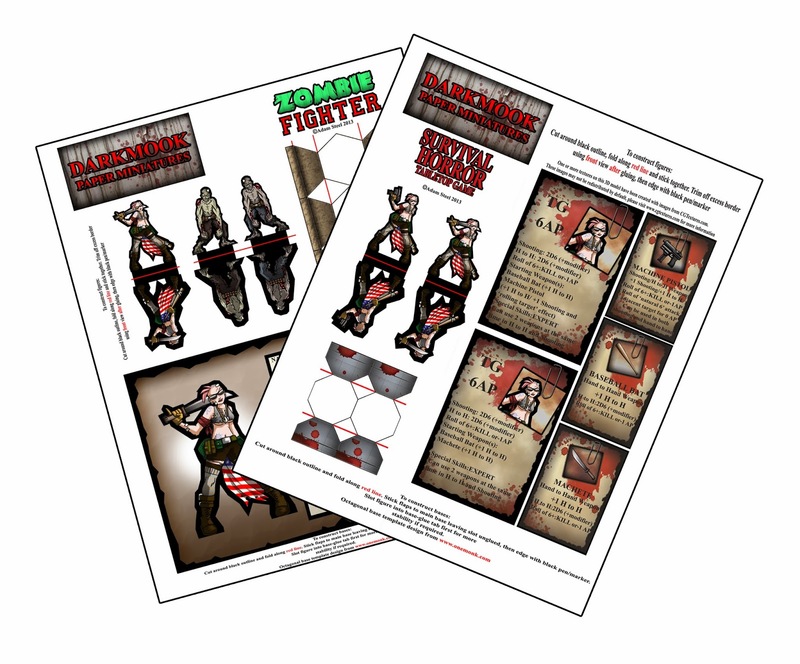 DARKMOOK MINIATURES: CHRISTMAS FREEBIE-TG, COMBAT SPECIALIST! TG, COMBAT SPECIALIST is now available from DARKMOOK PAPER MINIATURES! This year's Christmas Free mini is the anti-social antipodean TG! 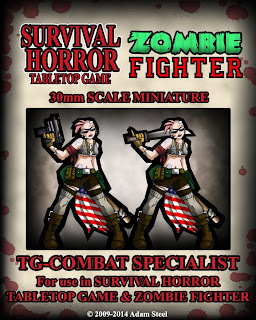 Designed for both SURVIVAL HORROR TABLETOP GAME (with 2 weapon set options, bases and weapon and stat cards) and ZOMBIE FIGHTER (alongside 2 zombies, bases and stat card) she will cover all your gaming needs! To pick up your copy of the pdf's visit the DARKMOOK SHOP or RPGNow!